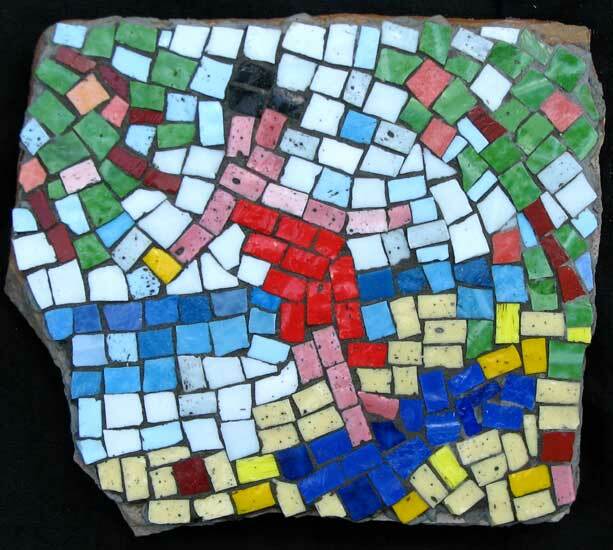 “Coconut Beach” mosaic art. smalti on standstone. about 8 in. Coconut Beach was another quick impressionistic sketch.